Each month, students in Mr. Bud Stein's “Honors Geometry” class create a mural using similar figures. As the class creates figures that are the same shape, but much larger, all students and faculty have the opportunity to guess who or what the image will reveal. 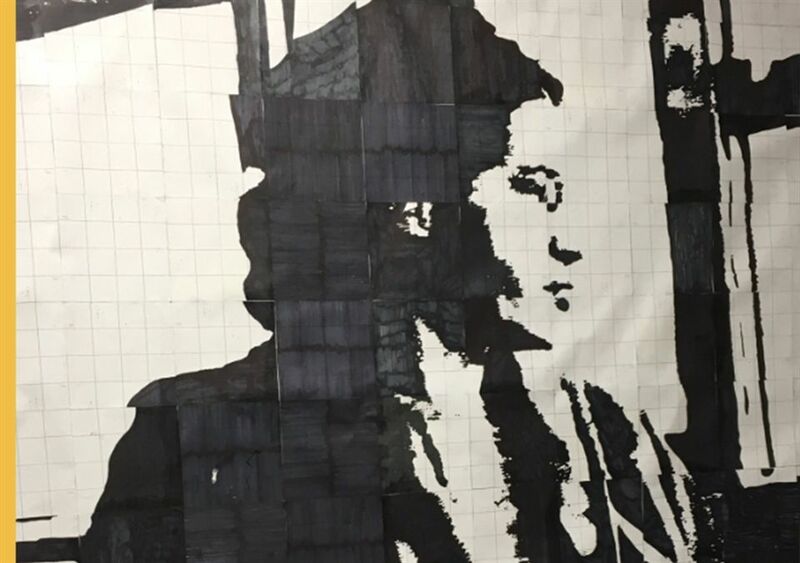 In honor of Black History Month, the class created a mural of Rosa Parks.